Keshav Pingali is a Professor in the Department of Computer Science at the University of Texas at Austin, and a member of the Institute for Computational Engineering and Science (ICES) where he holds the W.A. "Tex" Moncrief Chair of Computing. 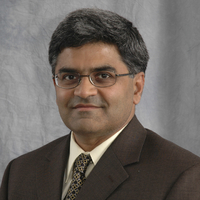 He was on the faculty of the Department of Computer Science at Cornell University from 1986 to 2006, where he held the India Chair of Computer Science. Pingali is a Fellow of the IEEE, ACM and AAAS, and a Distinguished Alumnus of IIT Kanpur, India. He was the co-Editor-in-chief of the ACM Transactions on Programming Languages and Systems. He served on the NSF CISE Advisory Committee (2009-2012).